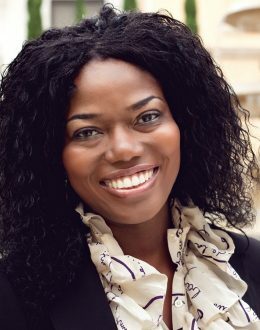 Mary Spio is best known for creating and holding patents on the technology used to digitally release feature films over satellite and for demographically targeted distribution of cinema content (alternate endings). Mary is the founder of Next Galaxy Corp, a leading content and technology solutions company creator of CEEKARS – the first 4D audio headphones for virtual reality and CEEK – a fully immersive social platform for accessing virtual reality experiences. She was president and co-founder of Gen2Media Corp., now called Vidaroo, an Orlando an Internet-oriented video production and distribution company that helps companies produce and put video online. Mary Spio was once a deep space engineer designing satellites at Boeing. She currently holds four patents, one of which allowed for the digital transfer of Star Wars II: Attack of the Clones to theaters when it was released. Spio started her own online dating magazine with a social networking environment, One2One Living. Spio was also working on a project that crosses the voyeurism of reality shows like “America’s Got Talent” with the get-in-there-and-do-it-yourself of Xbox Rock Band players. The technology was commercialized via Boeing Digital Cinema and Lucas Films. Today the technology is widely used as an accepted, cost saving, modern alternative for scores of major films. Spio’s companies have created content and or technology for global titans including Microsoft XBOX, Coca Cola Company, Tribune News Company (Parent of LA Times, Chicago Times etc. ), Emmis Communications, Billboard Awards, Lincoln-Ford and scores of iconic celebrities, retailers, radio station groups and much more. Ms. Spio is an Innovation and entrepreneurship evangelist who works with the US Department of State in a global outreach program. Spio has spoken or visited countries including China, Mexico, Russia, Mexico, Pakistan, Ukraine, South Africa & more. She is named alongside Oprah in NBC News’s 100 History makers in the making. Mary holds a Masters in Electrical Engineering and Computer Science from Georgia Institute of Technology and a Bachelor of Science in Electrical Engineering from Syracuse University. Spio is a recipient of the prestigious Yueh-Ying Hu Memorial National Award for Innovation, Boeing Outstanding Achievement in Electrical Engineering Award and Essence Magazine’s New Power Generation. An accomplished author, Mary Spio is a contributor to the New York Times Bestselling Series, Chicken Soup for the Soul. Mary Spio is the author of the novel A Song for Carmine and the Author of It’s Not Rocket Science – 7 Game-Changing Traits for Achieving Uncommon Success (Penguin Books, 2015). She was awarded Top 40 Under 40 in 2012 and Women Who Men Business in 2013.